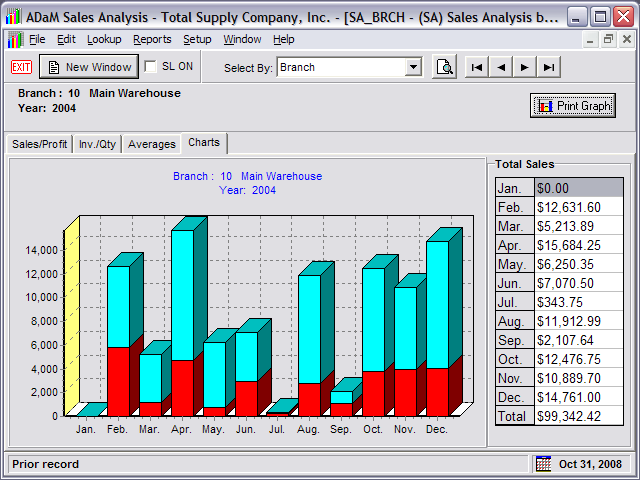 ADaM Sales Analysis can show you sales history in many different forms. 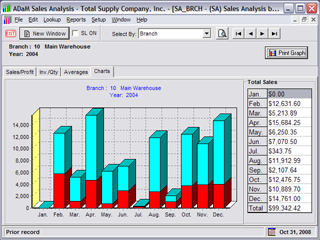 Sales history can be displayed by branch, customer, item, salesperson, customer/item, salesperson/customer and many other ways. View by month the average sales dollar per invoice, or average profit per invoice. You can easily display the average profit per invoice for an entire year. Sales analysis inquiry and reports provide the information you need to analyze history and current trends to target and adjust for more profitability.